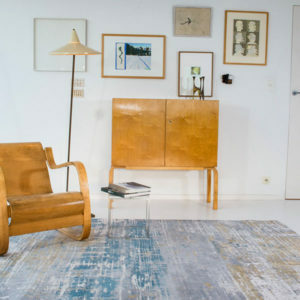 Bring a bright accent into your home with a refined rug that will make any room look more elegant. 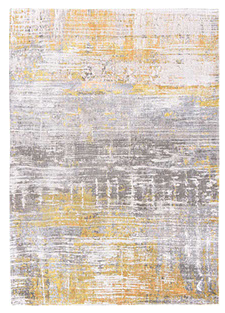 Made by Louis de Poortere, this Sea Bright Sunny rug features the signature pattern of the Atlantic Streaks collection. Abstract and versatile, the rug boasts brighter yellow colours as well as more neutral beige and grey hues. Distressed details and delicate stitching give the design a charming vintage look. 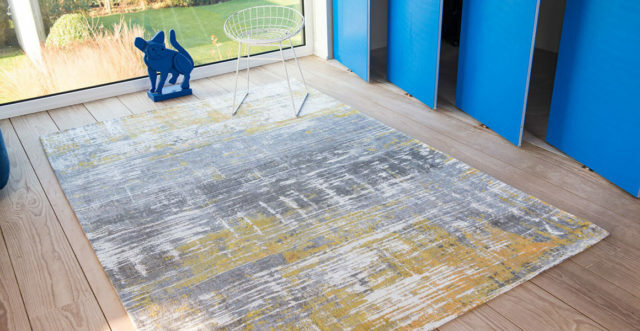 Completed to the highest standard of craftsmanship, the Sea Bright Sunny rug features a Jacquard flat-weave structure, hand-reinforcements on the corners, and a natural anti-slip latex backing.